Geotubes, used in hydraulic applications, can prevent the erosion of shorelines, and in some cases, restore lost shorelines as well.Â Geotubes can also be used to reclaim entire islands that are being lost, due to wave action from increased shipping traffic.Â In shoreline applications, Geotubes are typically installed with scour apron, which connects the large GeotubeÂ to a smaller anchor tube. 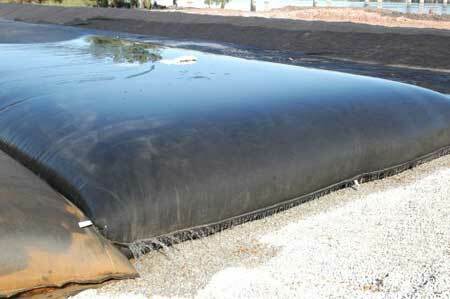 After filling, the Geotube can then be covered with sand, rock, or spray on coatings. In offshore or underwater applications, the Geotube can beÂ placed within a steel positioning frame, lowered to the required seabed or lakebed bottom location,Â and then filled. In addition, design assistance is available to determine sizes, stresses, stacking arrangements,Â and estimate dewatered volumes and pumping days. Geotubes can restore lost shorelines as well.